Nutone Vertical discharge fan with utility ventilators, helps to get rid of humidity from laundry rooms, tobacco smoke from rec rooms. This fan comes with a grille that has a dimension of 11-1/2-Inch x 11-1/2-Inch. It offers 1975 RPM speed and also eliminates fumes from workshops or cooking fumes from kitchens. 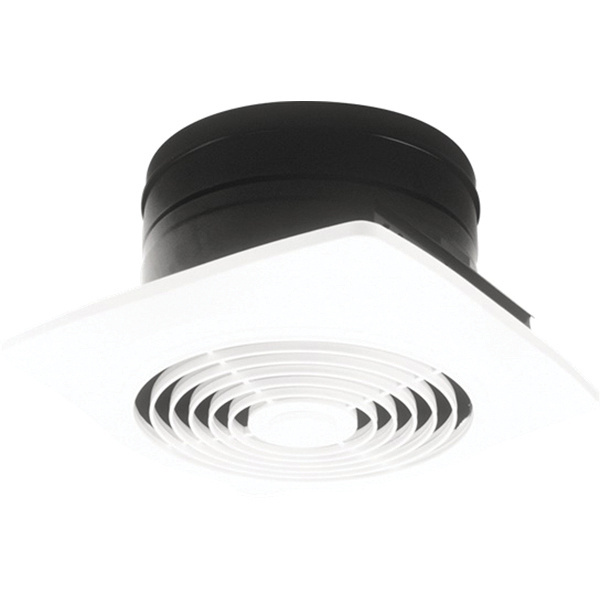 The fan with 8-Inch vertical duct offers airflow of 80 cfm at 0.10-Inch distance and comes with a white finish. It has a voltage rating of 120-Volts and current rating of 1.5-Amps. Discharge fan is UL Listed.